So there I was, in northwestern Connecticut as usual, on a glorious Labor Day weekend, surrounded by fabulous cars and great friends. 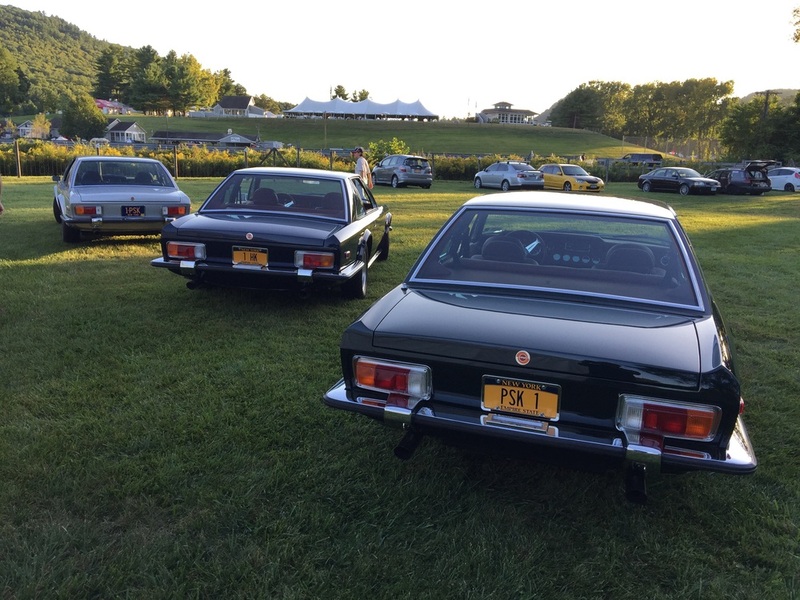 The Lime Rock Vintage Festival has been an annual pilgrimage for close to two decades. Lately, there has been a film event of some kind during the weekend. A few years ago it was a pre-screening of Senna. This year it was The Mirage, a documentary about a beautiful GT car built in the very early seventies. It is not often that I discover a vehicle from the late sixties or early seventies that I have never even heard of. The fact that this one also had a recognizable name made it all the more strange. The Momo Mirage. Prior to the screening, you could walk around and examine 4 of the 5 cars that were actually built. They are beautiful examples of chrome-bumpered luxurious-leather high-powered Gran Touring cars of the era. They blend some Ghia, some Maserati, some BMW CS, some Ferrari, and some Jensen Interceptr. Italian styling was combined with a very european interior. However, this car was not Italian, and the Momo was not the famed steering wheel maker. It was the brainchild of New York Real Estate mogul Peter Kalikow, who pursued his passion in the late 1960s to build a better GT. As the documentary directed by Kyle Roper very artfully shows, Kalikow, then in his late twenties, had the passion, the drive, and the money to pull it off, and he very nearly did.